Santa will be making the rounds during Creemore’s annual Christmas celebrations, this weekend. The festivities begin with the annual Tree Lighting on the Friday night at Station on the Green, hosted by the Creemore and Area Resident’s Association and the Tree Society of Creemore, beginning at 6:30 p.m. Children are encouraged to create their own hats for the crazy hat contest and a chance to win the honour of flipping the switch to light the tree. The top hatters will win prizes donated by Cardboard Castles. Free hotdogs, hot chocolate and cider will be served and there will be carol singing throughout the evening. 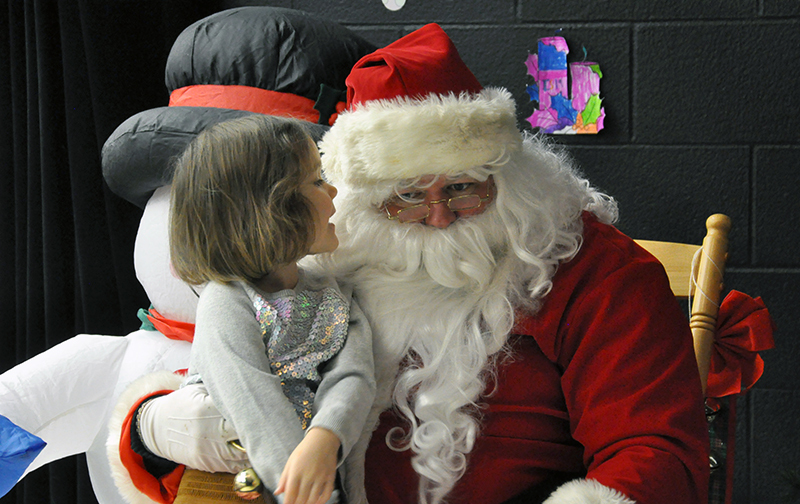 Fuel up Saturday morning at Breakfast with Santa at Nottawasaga Creemore Public School. Themed treasure trays will be raffled and the popular kids-only shopping room will be open, where children can purchase gifts for their parents and siblings. Santa will make an appearance to visit with the children and pose for photos. On both Saturday and Sunday, there will be a Christmas Market at Station on the Green in morning, from 9 a.m. to 1 p.m. 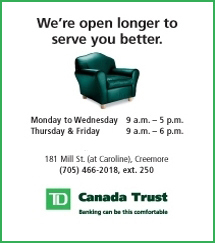 The Creemore Santa Claus Parade, organized by the Creemore BIA, is at 1:30 p.m. The parade will start at the Simcoe County Works Yard on County Road 9, head east to Mill Street, continue south on Mill Street to Edward Street turn on Mary Street where it will pass the nursing home before ending its route. Santa will greet guests at the Creemore Log Cabin after the parade. Hot chocolate and treats will be served. Those interested in entering a float are asked to be at the staging area before 1 p.m. All the information about the parade is posted at experiencecreemore.com. For full details about the weekend’s activities, see the community calendar on page 2.